Well, the TORH’s is over! We had 85 visitors on Sunday! Not sure of the count for Saturday, as I manned the front gate for our home project on Sunday. It was great to see so many people who were really interested in seeing what can be done with home makeovers. Families were out getting their heads full of ideas for their own remodeling projects! 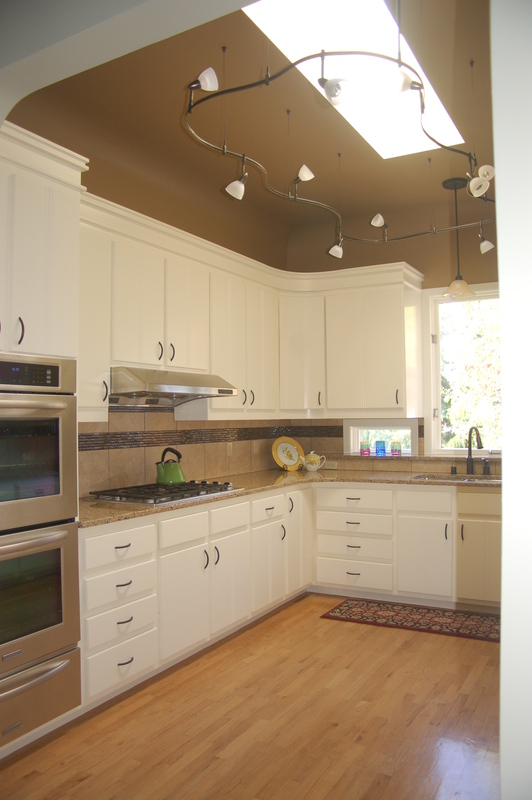 Here is a nice photo of the kitchen portion of the home remodel. Check out the granite countertop with custom backsplash and the lighting feature surrounding the skylight. This home also had the deck rebuilt by Rose Construction and had new Trex XLM decking with concealed fasteners installed along with railings that are stained cedar. 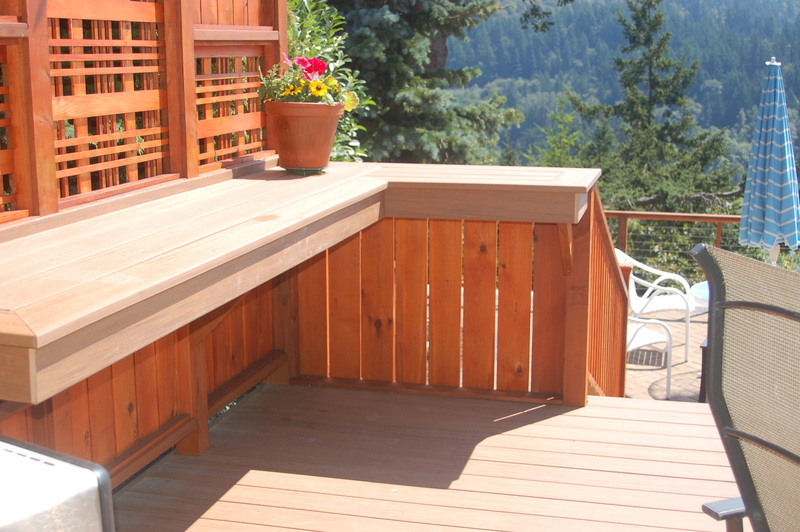 The photo of the deck shows one end of the deck with a countertop and privacy screen. This is where they located the propane barbecue and do their outdoor cooking. Out here in rainy Washington, we even had a rain-free day on Sunday, which I especially enjoyed as I was the official greeter, meaning I had my chair outside! All in all, it was a great day. If you meant to go but missed it, come next year; you will get an eyefull and loads of great home remodeling ideas for bathrooms, kitchens, decks and every other room in the house!